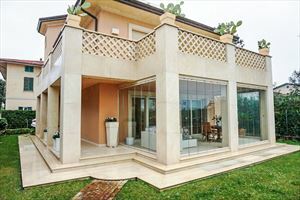 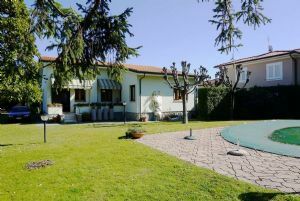 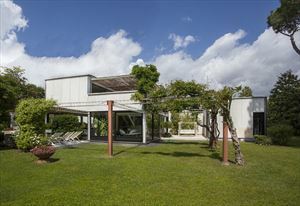 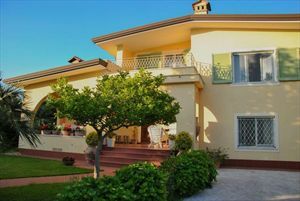 Detached villa located in the Vittoria Apuana area of Forte dei Marmi, a few steps from the sea. 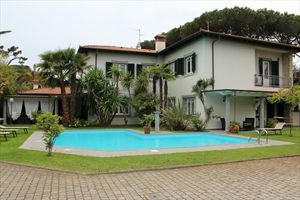 On the ground floor we find the kitchen, the living room, the dining room, a bathroom with shower and a single bedroom. 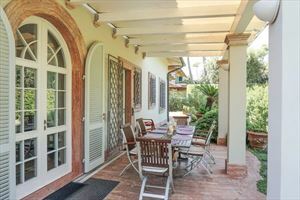 The first floor includes two double bedrooms, a bathroom with tub, a terrace equipped with garden furniture and a dining table and a large balcony with sun loungers. 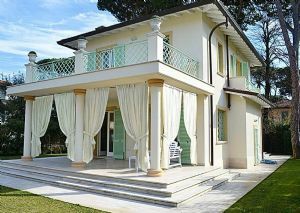 The Villa is also equipped with an alarm system, air conditioning, Wi-Fi on request, and parking spaces.